How can Doctors Without Borders (Médecins Sans Frontières, or MSF) ensure their logistics experts in the field develop the expertise they need? Namahn helped MSF develop a digital tool to help their growing ranks of logisticians better help their medical teams save lives around the world. MSF’s logisticians are an integral part of their teams in the field, playing a crucial role in managing volatile situations and ensuring that the doctors and nurses have what they need to save lives. Each MSF project is unique, so logisticians need a lot of experience to design solutions tailored to each situation. With MSF sending more medical teams to more crises around the world than ever before, building the experience and capitalising on the knowledge of their logisticians is becoming more important than ever. They conceived the Pathways project to support that knowledge capitalisation and “bridge the experience gap” between field logisticians. It aims to both structure the logisticians’ decision-making process and provide a digital tool to support it. Pathways thus captures the expertise of MSF’s experienced logisticians, and provides it to their teams around the world. 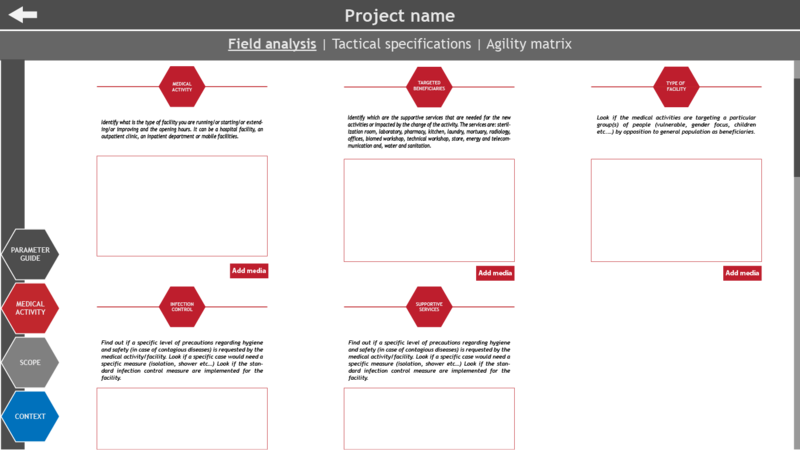 Through a structured process of prototype development and testing, Namahn helped translate the basic Pathways concept and content into a concrete, usable digital tool, ready for field-testing. The first step was to test MSF’s underlying concept, using paper templates and the existing guidelines on filling them in. These tests highlighted the difficulties in following the initial guidelines. These initial findings enabled Namahn to reframe the challenge. 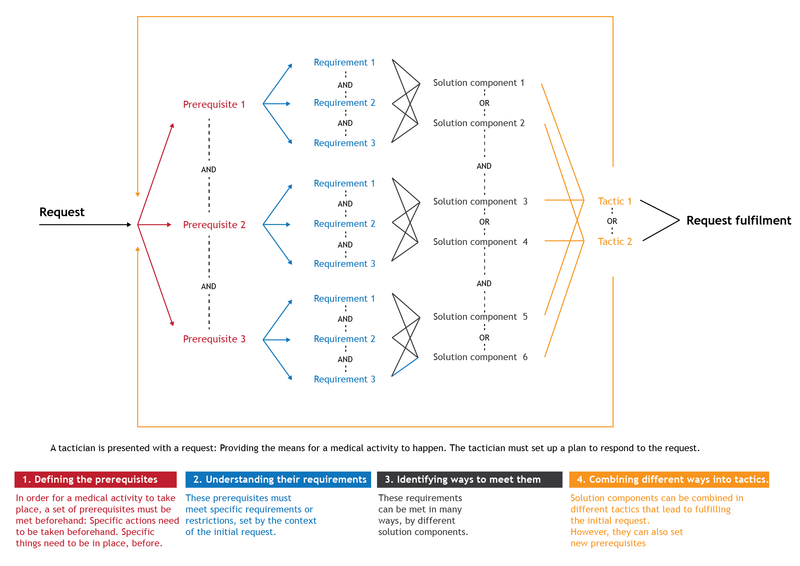 The decision-making processes set out by Pathways were first modelled and translated into a paper-based prototype. These were tested with three user groups: people with no experience of the MSF, MSF technical personnel unacquainted with the logistician’s work, and experienced MSF logisticians. The test results allowed Namahn to develop concrete interfaces for the Pathways tool. The concept was initially explored via non-interactive screens to test navigation structure, static content, key functionalities, and general look & feel. More complex interactions were then translated into an interactive prototype, featuring most of the front-end functionality. This prototype, finally, was refined in several additional iterations before development began, at one stage on a day-by-day basis in response to feedback. In the final phase, Namahn led a scoping exercise with MSF to envision how Pathways could evolve in the future from a single touchpoint to a full-service platform. 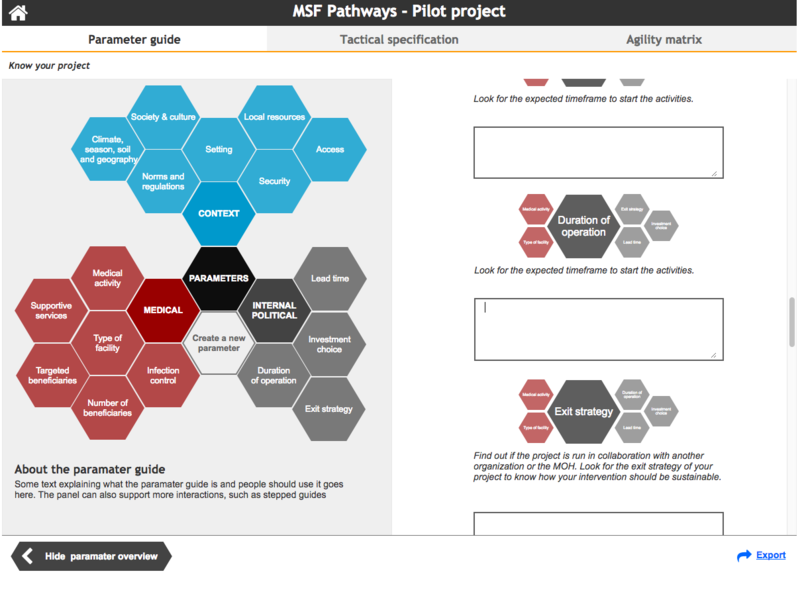 The final prototype translates the MSF’s abstract concept into a concrete digital tool, guiding MSF logisticians through the Pathways methodology of gathering information, defining requirements and then creatively combining solutions to find a range of options to support each medical team’s unique needs. The next step is for MSF to test the prototype in the field.